Want to give someone else all the super powers you enjoy? 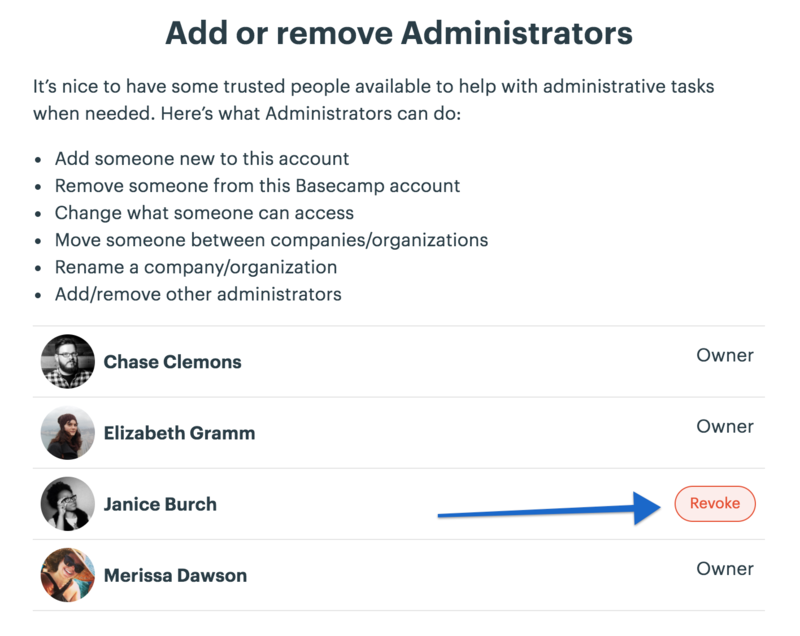 Any Admin can grant or revoke administrator privileges to anyone (except owners) on the account. Just head over to Adminland by tapping on the Home button, then tapping on the 🔑Adminland link in the upper right corner. Once you're in Adminland, you'll select the Add/remove administrators link. There you'll see a list of all the current admins with links to remove them. At the bottom you'll also find a spot to add new admins.